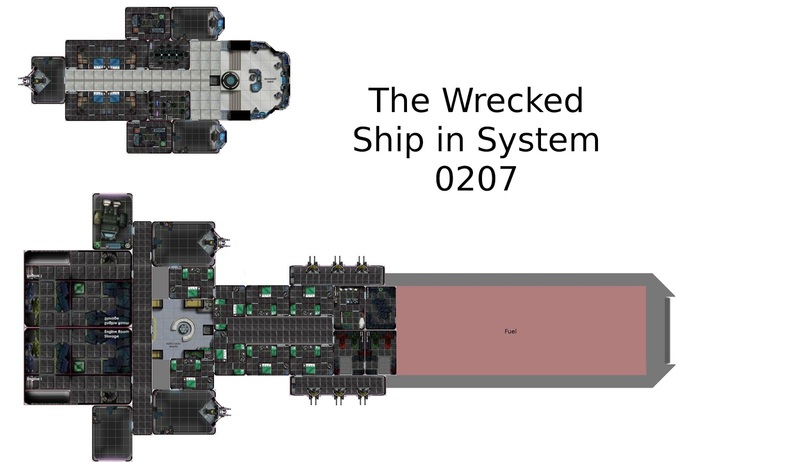 In Game 9 of Interstellar Exports, and the hopefully soon-to-be-played Game 10, Captain Dry and his crew took their ship the S.S. Hornby to to System 0207: the Chalandra system. Way back in Interstellar Exports Game 1, Dry heard a rumour about a crashed ship in the asteroid belt, and a missing scout ship. But that was not what brought them here. Following the advice of their recently acquired crewman, Meatfoot Blargin, they hoped to find a weapons dealer on Chalandra II that Meatfoot was sure could open the mysterious case given to them in Game 2. The Chalandra System has 3 planets and an asteroid field, but only the second planet can support life. As a result, the crew didn't spend much time exploring, but of course they could have if they wanted to. Chalandra I is a Class H planet: Low atmosphere, desert like conditions, not conducive to life. Think Mercury. There are however mineral deposits on the surface, if any one had the capital to exploit them. Chalandra II was colonized by a group of independent settlers, who then had the misfortune of being betrayed by their leader, and forced to live under a military dictatorship. The Planet is currently divided into several habitable domes and refineries. Chalandra II's main export is Astrodyanide: a valuable mineral that is harvested from the soil and refined into star ship fuel, before being sold on the black market. As such Chalandra II is a fairly lawless place so long as you are not attempting to subvert the government. It was here that Meatfoot, told Captain Dry that they would find an old friend of his from his Draco syndicate days: Marty, of Marty's Military Surplus. It turned out that Marty could in fact open the case, but he asked a steep price in return. Rumour had it that an unidentified ship crashed in the asteroid belt in the system. He knew it to be true, as the last crew he hired had made contact with the wreck, but he hadn't heard from them since. After sweetening the pot with some heavy gear, the guys agreed to Marty's proposal and head over to the asteroid field. Following the coordinates Marty provided, Dry and his crew found the wrecked ship, the missing ship from the crew Marty had found before, and another ship in orbit, trying to stake a claim to the asteroid. Using his superior fire power, Marty was able to convince the orbiting vessel that they should work together and they landed to explore the ship. Things got a little messy from there. I don't want to tell you too much about this ship as the guys have barely just entered it, but I made it using different sci-fi rooms I found with a google search, and some patience in gimp. This is where Interstellar Exports Game X will begin... And given the dangers in vessel most likely end. 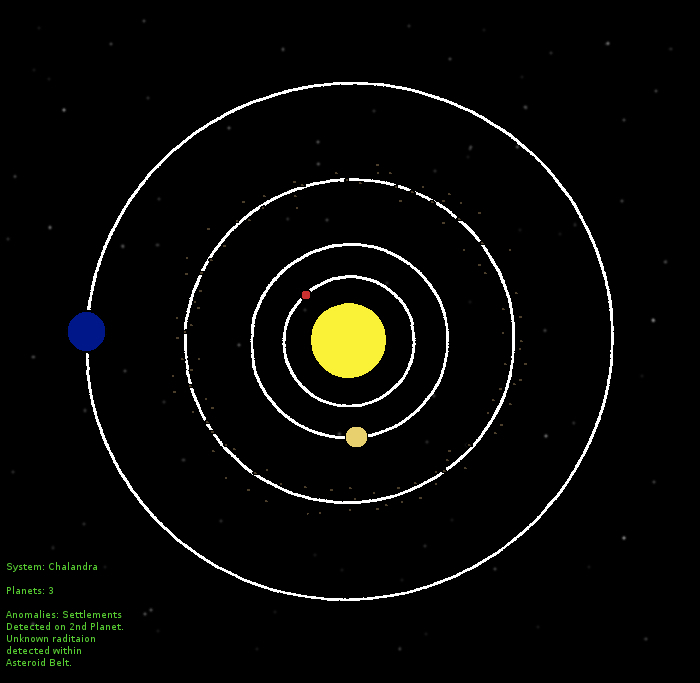 The third and final planet in the Chalandra system is Chalandra III and it is a remarkably uninteresting planet. There are no Astrodyanide deposits, no notable minerals, and no real reason to go here. But given the surprises I like to hide all over the place... Who knows what could be there? 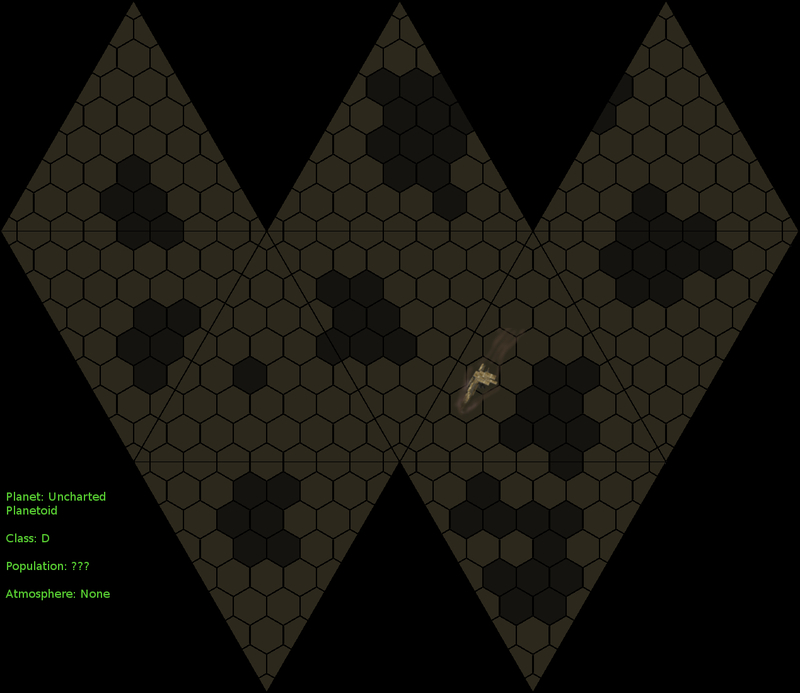 And that's it, those are all the maps I made for JADE's first Traveller Campaign: Interstellar Exports. I hope you all enjoyed our romp through the galaxy! Let's all hope that the game stories will get up on the blog soon and that we can actually finished Interstellar Exports Game 10!